Bruce Springsteen is bringing his “Springsteen On Broadway” concert series to Netflix this fall. 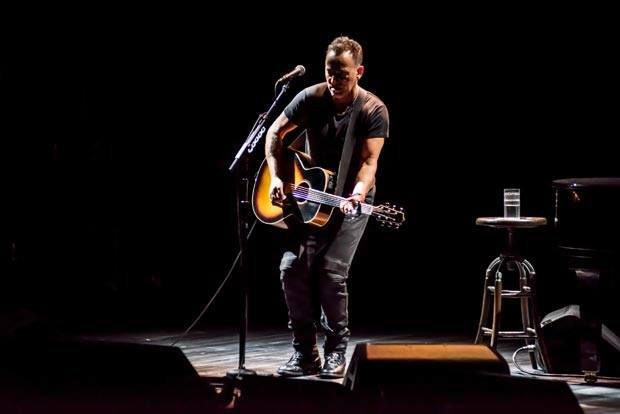 The one-man show – which sees the New Jersey rocker deliver a stripped-down, solo performance while sharing details behind some of his legendary material – will debut on Netflix on December 15 in sync with the closing night of its sold-out 236 night run at New York’s intimate Walter Kerr Theatre. The concert film is directed and produced by Emmy Award-winner Thom Zimny ("Bruce Springsteen and the E Street Band: Live in New York City (2001)"), and produced by the singer’s manager Jon Landau, Springsteen tour director George Travis, and Landau Management partner Barbara Carr. Last month, Springsteen received a special Tony Award for “Springsteen On Broadway”, at the 72nd annual edition of the event in New York City.